California’s ongoing battle over new regulations has an interesting twist: a chemical company is asking a judge to keep in place an older tougher standard that’s been weakened by state regulators. For nearly four decades, furniture manufacturers have been required to pass an “open-flame” test, which requires furniture be able to withstand 12 seconds of exposure to an open flame. 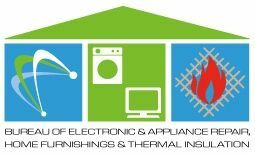 As of January 1, a new regulation approved by the Department of Consumer Affairs, Bureau of Electronic and Appliance Repair, Home Furnishings and Thermal Insulation took effect that requires a much-lower threshold of fire safety. Since the regulation has been in effect, state regulators admit that fire fatalities are down significantly. Yet, the growing concern over exposure to chemicals has flipped the opinion of regulators, who now say that “flame retardant foam can actually increase smolder propensity.” In its place, the state will require the less strict smolder test, which can be passed without the use of chemical fire retardants. Enter one of the nation’s leading chemical companies, which says that its products have helped keep consumers safe from house fires. Chemtura Corporation believes that the revised rules impose weaker fire safety standards and diminish the progress in fire safety for upholstered furniture. To thwart regulators’ plans, the company has filed a lawsuit to preserve the nearly four decade old rules that govern upholstered furniture flammability. “Our lawsuit asks the court to overturn the new regulation on the grounds that the Bureau overstepped its statutory authority first, by narrowing the standard to exclude open flame testing requirements and, second, by basing its rationale to change the standard on human health concerns with respect to flame retardants, an area of regulation well outside the jurisdiction and expertise of the Bureau,” Noonan said on behalf of Chemtura in a recent press release. The role reversal — with regulators weakening regulations and industry defending tougher standards — is a byproduct of a new emphasis on the chemical industry. Since a blistering series published by the Chicago Tribune in 2012 that detailed the industry’s political tactics, the chemical industry has been a prime target of government regulators. Shortly after the Tribune’s report, Gov. Jerry Brown announced plans for the regulatory overhaul of flame retardants. Despite the growing public fear of chemicals, many toxicologists and medical experts caution against the rush to ban chemicals. Tom Osimitz, a toxicologist and chair of the scientific advisory committee of the North American Flame Retardant Alliance, defended the important role that chemicals play in fire safety in an interview with PBS NewsHour. He also delivered an important reminder: exposure to a chemical doesn’t inherently cause injury. For more on California’s obscure regulatory system, check out CalWatchdog.com’s July 2012 investigation into how California’s regulations are being exported overseas. 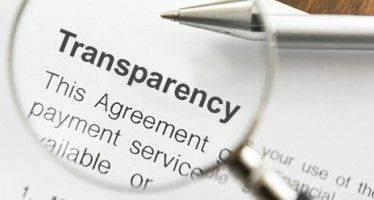 A new state ballot initiative aimed at bringing greater transparency to Sacramento has been filed with the attorney general’s office.